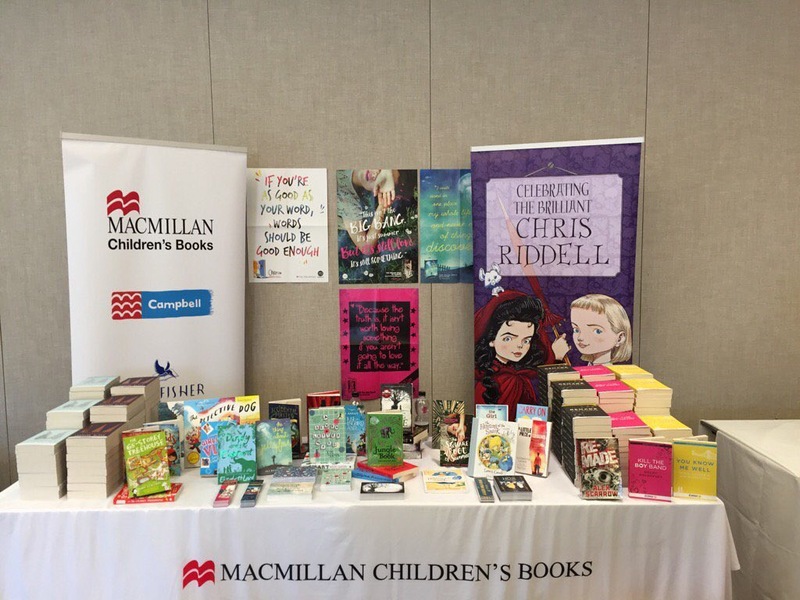 I have just returned from two exciting and informative trips to Newcastle and Gloucestershire with my publisher, Macmillan Children’s Books. 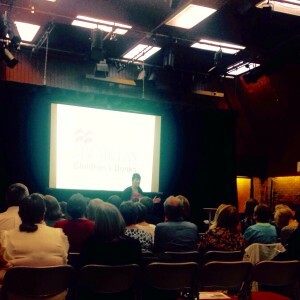 I wanted to blog about both events to highlight the massively important work librarians and associated organisations are doing, often without fanfare or acknowledgement. 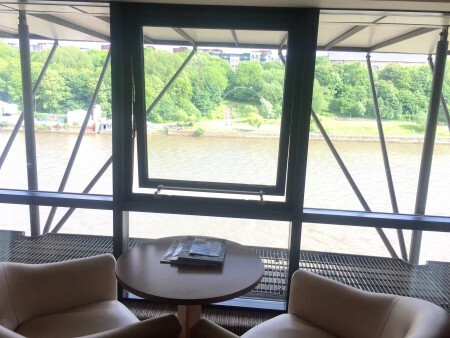 I drove up to Newcastle on Tuesday 21st June and checked in to a lovely hotel right on the River Tyne. There, I met up with Leanne Bennett, Publicity & Marketing Asst at Macmillan and we enjoyed a lovely dinner at the Quayside with great views. Jon Snow was outside the Pitcher & Piano, filming the public’s views on the EU referendum for ITN . . . result as then blissfully unknown! 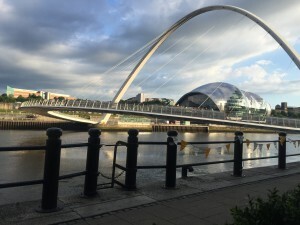 On the Wednesday morning we were up bright and early for breakfast and then off to the wonderful Gateshead Library where the Reading Agency had organised an excellent publishing roadshow for largely North-East Librarians. Three authors were also in attendance. I read an excerpt from my new book, ‘A Seven-Letter Word’ and spoke about how, since getting published, I’d seen for myself the amazing effect and influence librarians have on young people’s lives through the power of reading. There is no doubt in my mind that a large part of the success of my debut novel ‘Smart’ is down to librarians recommending and matching my book to their readers. I know I and many other authors feel so grateful for the reading ‘bridge’ that librarians provide between our books and potential readers. I have had so many emails from young people – often boys – telling me how they never usually read but that their school librarian recommended ‘Smart’ and how much they enjoyed it. They then go back and ask for another similar title and their reading journey has begun. 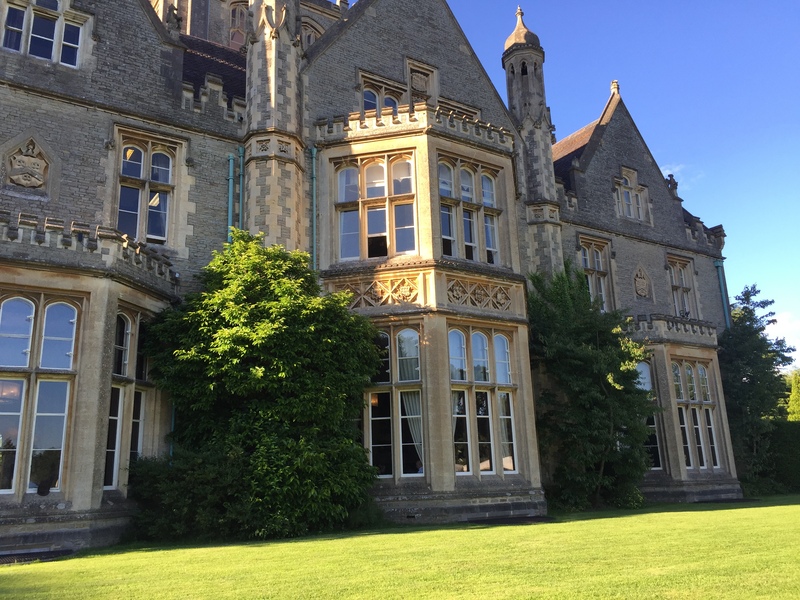 On Friday 24th June I travelled by train and cab down to Gloucestershire to the School Library Association’s (SLA) weekend course – Empowerment, Empathy, Engagement: The Impact of School Libraries. The weather was glorious when I arrived at the beautiful hotel and grounds. Senior Publicity Manager at Macmillan, Catherine Alport and Leanne Bennett, were already there to greet me. 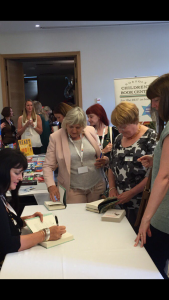 It was so lovely to get to meet so many people at the conference; SLA officials, other authors and librarians from all over the UK. Bound together by our love of books, we all enjoyed a BBQ dinner in the amazing Orangery, everyone mixing afterwards to chat and discuss our favourite subject . . . reading! We were then treated to fabulous entertainment by the Midwest Swing Band from 9pm until late. Next day, Saturday 25th, it was straight down to business. The conference was incredibly well organised with a schedule jam-packed with fascinating seminars, talks and workshops on a wide range of subjects. We enjoyed an impromptu Skype call from Katherine Rundell and author Andy Robb had the audience in stitches with his tales of unrequited teenage love. 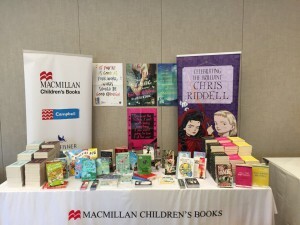 For my part, I was there to appear on a panel in the afternoon discussing the inclusion of diversity in children’s literature, chaired by publisher Janetta Otter-Barry and with fellow panellists – consultant and author Alexandra Strick and YA author Patrice Lawrence. It was such a lively and interesting conversation. We all spoke individually for ten minutes or so about our own experiences and views of the inclusion of diverse characters in books and I gave a reading from ‘A Seven-Letter Word’. I think we all learned a lot from each other and the knowledgeable audience were really engaged, joining in the conversation and voicing their opinions . . . everyone agreed we could have carried on talking all afternoon! The session finished with author John Dougherty reading a poignant and very relevant poem. Librarians and their associated organisations do so much to help get inclusive books to the hands of young readers. Reading books with diverse characters can increase the reader’s empathy with others and help young people who do feel different to find people just like themselves in stories. There was time for a speedy signing session and then back in the cab to the train station for the journey (in torrential rain) back to Nottingham. Back home now I’ve barely time to catch my breath (and write this blog) before I’m off on my travels up north again this evening . . . but that’s another story for another day!